Viktor wrote: S-300 for everyone !!! medo wrote: And for domestic units. 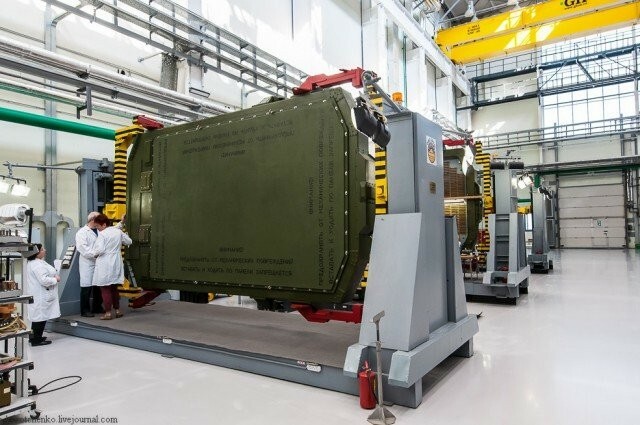 Combat units of Zvenigorod air defense regiment operating S-400 Triumph air defense systems have come on duty after completion of training at the Tembr-M simulator. The units are responsible for assuring the air defense of Moscow, ITAR-TASS reports with reference to the official representative of the Aerospace Defense Forces, Colonel Alexey Zolotukhin. "The combat units of Zvenigorod air defense regiment of the Aerospace Defense Forces took delivery of S-400 Triumph and Pantsir S-1 air defense systems this March. The personnel have successfully passed the training required for operating S-400 systems. The training was being carried out at the Russia’s only training regiment of Air Defense Forces. They have already carried out range practice at Kapustin Yar firing range and come on duty to provide air defense of Moscow and the central industrial district", - Zolotukhin said. "The training regiment of Air Defense Forces based in Moscow Region is responsible for personnel training of air defense regiments operating S-300 and S-400. The training was being carried out under conditions of complicated air situation using real aircraft and Tembr-M simulators", - Zolotukhin added. Tembr-M is a unique simulator because it allows simulating any combat environment in real-time mode. Using a digital map of Moscow Region the specialists of the training regiment are able to prepare combat units for operation of S-300 and S-400 systems in any region of the world. "Last year we have held over 30 exams at the training regiment’s facilities. The regiment’s specialists have trained over 70 combat units of command posts of the air defense regiments. Over 1000 service members of Aerospace Defense Forces have passed the training", - the Colonel added. Hmm 30N6 or 92N6 i wonder ? How many channels target engagement have the S-400? Vann7 wrote: How many channels target engagement have the S-400? That of course refers to domestic model. Export one is 6/6. So if you have 10 x S-400's domestic you can in theory engage 10x10 =100 targets at same time.? and then 100 x S-400s can engage 1,000 targets at same time too ..
the ones not being targeted? Not only another S-400. What's for command and control battaries are. IIRC the data could be transmitted even to army AA units. 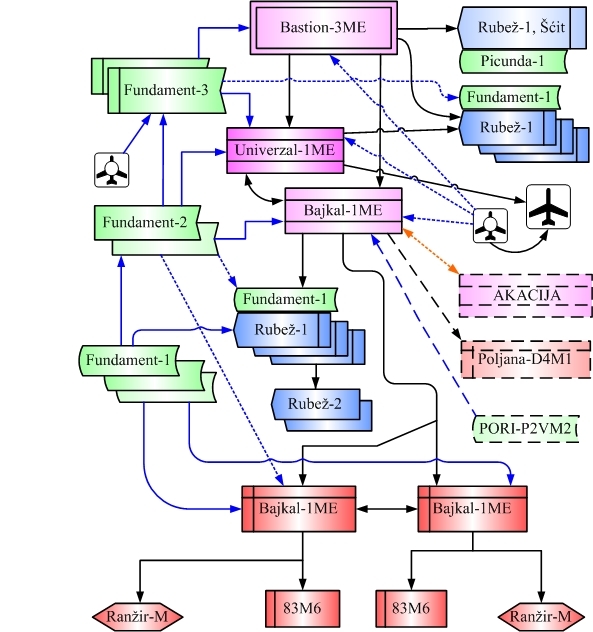 Air Defence forces (or rather Space Defence forces, as air defence forces are now integrated with Space forces) has imho the most advanced automated control system in the whole Russian Army. Of course, this is one of the basic tasks of IADS and that is why every battalion, regiment, brigade and higher have their command posts, to coordinate the work inside unit as well as with neighbor units. missiles.Of course even after 2020 deliveries of S-400 will continue at great rate. Of course. Since before Vietnam war and some would argue even during WW2 (directing PVO guns) some primitive methods existed for target distribution. 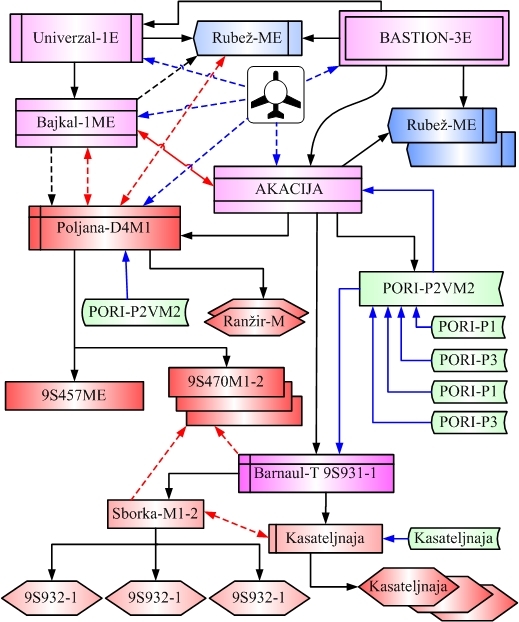 efficiency of the whole IADS by several times in comparison when there are none in the team (take note that Serbia did not have command posts during NATO attacks). to intercept at least 10,000 missiles,rockets,ballistics targets,planes and drones fired at the same time. and ideally about 40,000 in the eastern front alone. Iran for example claims to have 12,000 missiles.. So for NATO that should be not a Major problem. mobile Sams deployed at Russian Borders could create a tremendous impenetrable wall for any missile flying very low up to visual altitude. and any few missiles ,rocket that manage to pass to be taken by S-300s/S-400s. In short border filled with automatic precision Gatling guns defenses should create a new impenetrable wall around their border with the right combination of radars. I meant to say that by 2020 Russia will have 56 S-400 batteries meaning it will be able to shoot with those 56 S-400 at 56 x 10 = 560 targets at once with 560 x 2 = 1120 missiles. Nope, S-300 battery can guide 12 missiles on 6 targets so less than that. 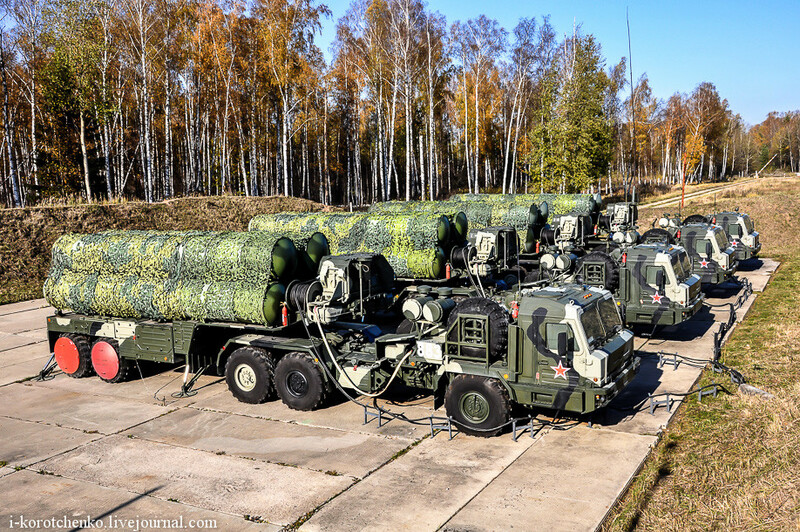 The air defense force will be using the S-400 Triumf and S-300 Favorit air defense systems, Pantsyr-S anti aircraft guns, Kasta-2.2 radars and Fundament-M automation system. now this is how one should flip the bird towards cockgarglers. Russian PVO go through more and more trainings and exercises, so they get more and more skills and higher quality. 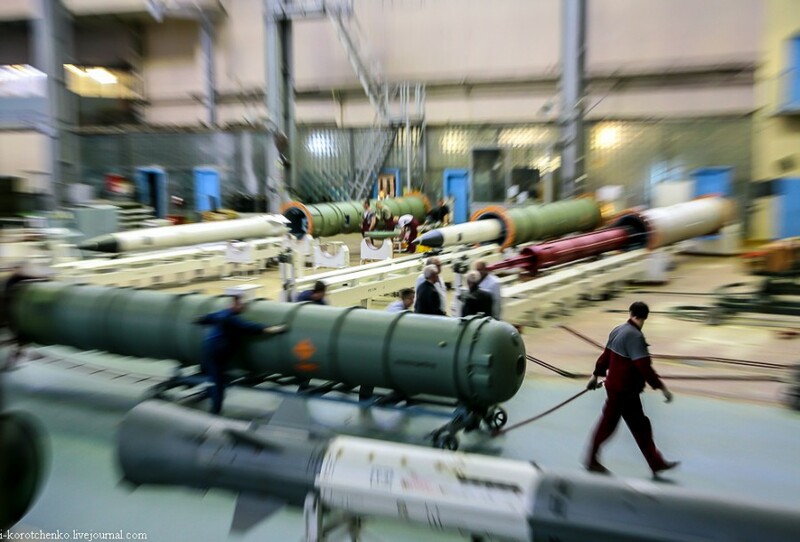 S-400 factory , many ask about missile in the foreground? S-500 , S-400 large missile? question: how much does the most common s-300/400 missile cost? are we talking a million dollars a piece or less?